Android Storage Space Running Out! 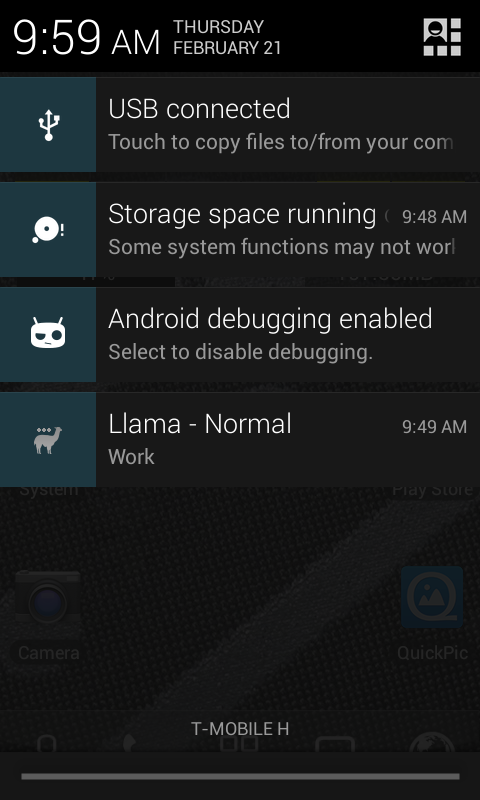 I have my galaxy SII with Cyanogenmod 10.1 and I got this message "Storage space running out some system functions may not work". I tried to uninstall some applications but that didn't do the trick. I only had like 100MB of free space. Then I found that there are like 1.8Gigs of log files stored in the /data/log directory which I don't really care about. It'll ask for root permissions when u run the first line. Hope this helps!